Last month the newly published research from the American Thoracic Society’s American Journal of Respirator and Critical Care Medicine hit the headlines finding that the use of cleaning sprays can be as bad for your lungs as smoking 20 cigarettes a day. The irony of this is not lost, the very product being used to clean a home is, in fact, bad for your health. Therefore, the choice of material we put in our homes has become even more important. Natural stone is a clean and healthy building material, there are no toxic chemicals that can adversely affect your health and wellbeing. A Granite Worktop LOVES to stay clean. 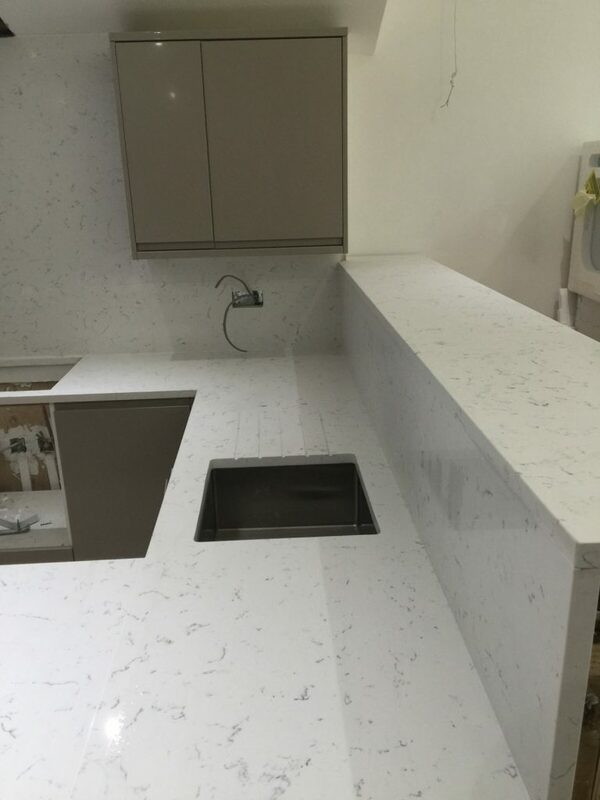 At the Beauty of Marble Limited we seal all our Granite Worktops to ensure that they will handle liquids and stains correctly. You will never have to scrub a Granite Worktop or use harsh chemicals to clean it. In fact, we recommend that a damp micro fibre cloth is all you need to keep your Granite Worktop clean. And if all this isn’t enough – Granite is incredibly sanitary. You don’t have to worry about bacterial contamination since it is naturally 99.9% anti-bacterial, making it the perfect choice in your family home. Of course, Granite is not the only choice of material for your kitchen worktop, Quartz is also a clean and healthy option. When you choose Quartz for your kitchen, you can relax knowing that the smooth surface creates a healthy indoor environment. It will not harbour germs or grow bacteria or other microorganisms. It’s an ultra-clean, hygienic option because of its nontoxic surface and it doesn’t contain any foreign substances that could harm your health or damage the environment. The final material to consider for your home is Marble. Not only are Marble tiles beautiful to look a, they are a low maintenance and healthy option for your floors and walls. Marble tiles will keep your home free of the infestation of allergens and pathogens, because Marble can stop minute particles from finding a liveable space on its surface and thriving there. In conclusion, when considering your family’s health, it is important to start by having the correct material installed. Your Natural Stone might not be able to get your children to eat their greens, but it will help to protect them from contact with many harmful bacteria.